RANGERS scored a massive victory at Aberdeen on Wednesday and I'm backing them to grab another vital win tonight. 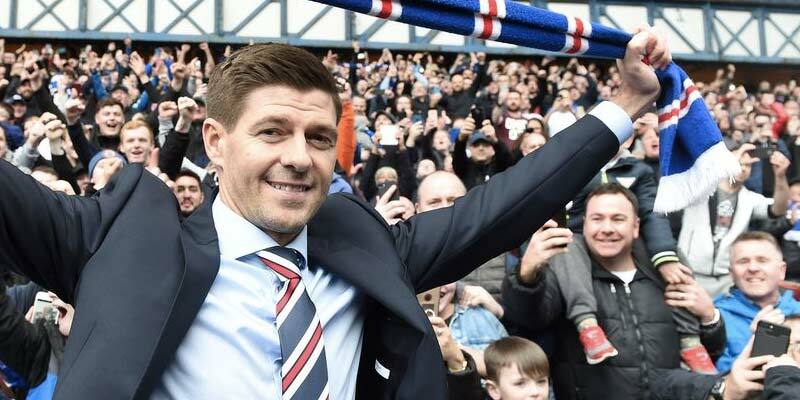 Steven Gerrard's men can't afford to drop anything in the league as they chase Celtic but the Scottish Cup could be their best hope of silverware. Gers lost 2-1 at Rugby Park last month but Killie's form has dropped off with the loss of Greg Stewart and just two points from nine. I fancy the away but it's short as usual at 3-4 with Betfred while the home pays 4-1 at bet365. There were defensive concerns for Gerrard in midweek so best bet could be Rangers and both to score at 12-5 at bet365. Jemain Defoe came off the bench to seal the points at Pittodrie and is set to start after Alfredo Morelos lost his appeal against his red card at Aberdeen. Defoe is 4-1 with Ladbrokes to hit the opener and 5-4 to score at anytime. There are three other Scottish Cup ties today and I don't think the favourites will get it easy in any of them. Dundee United will fancy their chances at St Mirren having signed 11 players in the window. It will take time for them to settle in but there were positive signs in last week's victory against Morton. One of United's best captures was Cammy Smith from St Mirren and he'll be keen to remind Oran Kearney what he can do. Saints overcame a banana skin in the last round when their 10 men came back from 2-0 down to beat Alloa. But they are back on the basement after losing at home to Motherwell in midweek and could struggle against a rejuvenated United who are 21-10 at bet365 and 6-5 with Sky Bet draw no bet. Partick Thistle have also picked up since making big changes during the window. Gary Caldwell's men are unbeaten in five and interestingly both have scored in their previous six. They visit an East Fife side who deserve respect after beating Morton in the last round and while I expect the Jags to get the job done at 6-5 with Sky Bet best bet could be both to score at 11-17 with 10Bet. League One promotion chasers Raith will be out to enjoy their trip to Hibs but haven't won in seven visits to Easter Road. Hibs will edge it but 6-5 at William Hill for both scoring looks good. Tomorrow Celtic face St Johnstone for the third time in 12 days – and it could be a third consecutive 2-0 win at 32-5 with Marathonbet. Celtic haven't conceded a goal this year and are 37-40 at McBookie to win to nil. Aberdeen lost to Queen of the South in the semis in 2008 and should wreak some sort of revenge at Pittodrie tomorrow as long as they keep Stephen Dobbie quiet. The veteran striker netted four over two games against Dundee in the previous round and is 3-1 at Betway to add to the 37 goals he's netted this season. Aberdeen lost a thriller to Rangers in midweek but the performance was decent and Sam Cosgrove netted a double to take his tally to 12 in 12 games and he is 5-1 at bet365 to break the deadlock. The romance of the Cup is well and truly alive with Hearts welcoming Auchinleck Talbot. The junior giants lost just 1-0 at Tynecastle six years ago but the Jambos are back on form and I can't see anything but a convincing home win against the 23-1 outsiders. Hearts are no bigger than 1-10 and bound to give a side that beat Ayr total respect. That means fielding a strong line-up and if he starts I'm on Steven Naismith to score first at 23-10 with Ladbrokes and I like Hearts -2 at 10-11 with Betfred. The Bairns are unbeaten in four and won at the Indodrill back in September. Take Falkirk at 21-10 at William Hill. In League One best bets could be Forfar, four league wins in five, at home to Airdrie. The Loons tempt at 17-10 with William Hill.